The affordable, city-sized Kicks entered the market last spring, making a splash with its low price and tiny appetite. Cargo and passenger room is surprisingly good given the cute ute’s tiny footprint, with ample headroom and easy loading. 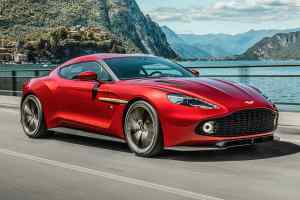 One engine is offered, a 1.6-liter four making 122 horsepower. Variable valve timing and a continuously-variable transmission take aim squarely at economy and provides the Kicks with 33 mpg in the combined cycle. Generous amenities add value, with even the base S model being offered with automatic emergency braking, Bluetooth hands-free calling, touchscreen infotainment, three USB ports, keyless entry, and automatic headlights. Apple CarPlay and Android Auto appear in midrange along with advanced safety features, while top models add luxury flair like leather interior accents and upscale exterior trim. The Kona kills it with good looks and an affable nature, but Hyundai piles on amenities that add significant value for buyers. 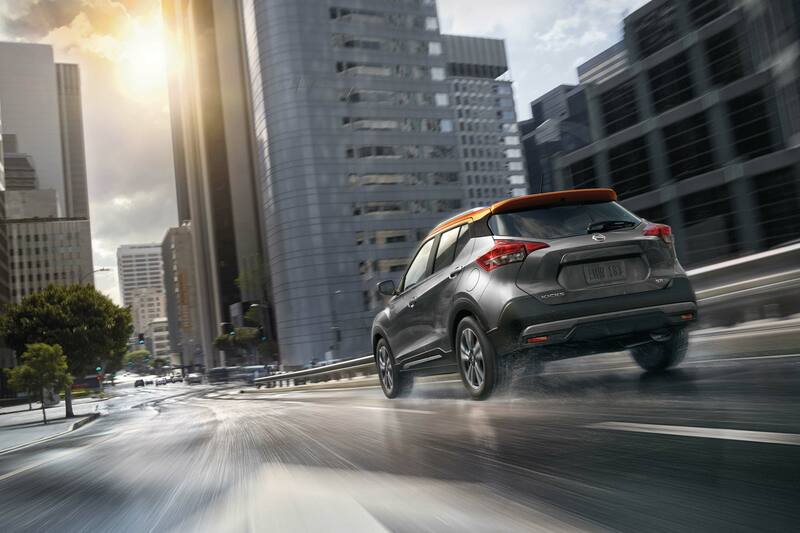 For 2019, the Kona adds standard active safety features: forward collision avoidance assist, lane keeping assist, and driver attention warning. Blind spot collision warning and rear cross traffic alert become available midrange. Two engines are offered, depending on trim. SE and SEL models get a 2.0-liter Atkinson cycle four-cylinder engine with 147 horsepower, while Limited and Ultimate get a 175-horsepower, 1.6-liter turbo. Both engines return 30 mpg in the combined cycle with standard front-wheel drive. All-wheel drive is available at every level for $1,300. The Mazda CX-3 packs full-size fun into a striking subcompact package. Genuinely athletic handling might be its strongest defining characteristic, with a spirited 2.0-liter engine providing a smooth 148 horsepower, up from last year’s 146. Even better that, it returns 29 mpg in the combined cycle (front-wheel drive). Inside, Bluetooth and smartphone connectivity are standard features, along with steering wheel-mounted controls for audio and phone, automatic volume control, and USB inputs. The seven-inch infotainment system has voice control and seamlessly integrates with Stitcher, Pandora, Aha, and others. The littlest Mazda has added additional safety for 2019, as well. Now standard on all trim levels are direct tire pressure monitoring, rear cross traffic alert, and blind spot monitoring. Adaptive cruise control and smart city braking with pedestrian detection are available on the top Grand Touring model. For an added dose of fun (or simply extra grip in sloppy conditions), torque-vectoring all-wheel drive is available across the model range for an additional $1,250. The Tucson is one of the best compact SUVs on the market today, offering economy and real value for money without ever feeling low budget. The base engine is a thrifty 2.0-liter four that returns 26 mpg in the combined cycle, but still puts out a peppy 161 horsepower on tap. SEL models and above up the displacement to 2.4 liters and power to 181, while still returning 25 mpg combined. (Economy numbers are for front drivers; all-wheel drive is available across the range for $1,400 and returns 23 mpg combined with either engine). A seven-inch infotainment system, Apple CarPlay, and Android Auto are all standard. Heated front seats with power adjust and power lumbar support are standard in all but the base model. A full gambit of active safety systems are standard, such as forward collision avoidance assist, lane keeping assist, and driver attention warning. Subaru’s best-selling Forester is all-new for 2019 and sees efficiency gains across the range. All models come equipped with a upgraded 2.5-liter boxer engine under the hood, now making 182 horsepower and 176 lb-ft of torque. A continuously-variable transmission is the sole option and helps to boost economy up to 29 mpg in the combined cycle. All-wheel drive with active torque vectoring is standard. The wheelbase grew an inch in the redesign, allowing an airier cabin with more legroom. Standard amenities have grown, too, and now include a high-resolution touchscreen, smartphone integration with Apple CarPlay and Android Auto, dual front USB ports, keyless entry, and a security system with engine immobilizer. Advanced safety features like adaptive cruise control, lane keeping assist, and pre-collision braking with throttle management are now standard. We like the compact Honda CR-V for its “bigger on the inside” interior (we would have said TARDIS, but that would make us nerds). There’s a ton of room for both people and all the stuff that people carry. The second row accommodates adults without cramped feet or legs, and there’s still 39 cubic feet of cargo area behind the seats. With the second row folded, the CR-V will swallow a ginourmous 76 cubic feet. The base LX has a 2.4-liter four under the hood making 184 horsepower and returning 28 mpg in the combined cycle (our annual fuel cost is base on this motor and front-wheel drive). All other trim levels are equipped with a 1.5-liter turbo returning 30 mpg (FWD). All-wheel drive is available across the range. The Kia Sorento comes in so cheap compared to its competitors, we wondered if all four wheels were included in the price. We scrutinized the spec sheets to find the cost-cutting differences between it and our two other picks in the category. Base L and LX models come equipped with an economical 2.4-liter four-cylinder that returns 25 mpg in the combined cycle. Mid-level models step up to a powerful 290-horsepower V6 with a starting MSRP of $31,290. Amenities in base models are a bit scarce as well. Seats are cloth with manual adjustability and the air conditioning is not automatic. A seven-inch touchscreen is, however, along with Apple CarPlay and Android Auto, USB input, and six-speaker sound. Active safety only appears at the LX model ($27,650) and above. A convenience package ($2,000) adds heated seats with power adjustability, connectivity, and leather trim. Even at $29,650 total, the Sorento still stands out as a value winner. Nissan adds value to its popular Pathfinder SUV with a standard 284-horsepower, 3.5-liter V6 engine. The grunt is managed well and paired standard continuously-variable transmission, returning good economy at 23 mpg combined. Available four-wheel drive ($1,690) drops milage one point in standard models, and two in the top-of-the-line Platinum model. An 8-inch touchscreen graces the center console with standard connectivity and voice control. Six—six!—USB ports are standard, along with two 12V power outlets, and three-zone automatic climate control. All 2019 Pathfinder models come with automatic emergency braking, with blind spot monitoring and rear cross traffic assist standard on all but the base model. Buyers needing a two-row midsize SUV would do well to look at the Pathfinder’s sibling, the Murano ($31,750). In base LE trim, the Toyota Highlander comes equipped with a 2.6-liter four-cylinder engine making 185 horsepower and returning 22 mpg in the combined cycle. A V6 is offered ($2,050) and is an attractive choice with 295 horsepower and slightly better combined economy of 23 mpg. On the inside, the Highlander starts off with front and rear air conditioning, five USB ports, and a 6.1-inch touchscreen with integrated backup camera. There is smartphone integration, but CarPlay and Android Auto still appear to be absent. Where the Highlander shines is in standard safety. All models come with a pre-collision system with pedestrian detection, lane departure alert with steering assist, automatic high beams, and dynamic cruise control. Nissan’s eight-passenger Armada is anything but a blushing flower. All models come with a 5.6-liter V8 steaming out an impressive 390 horsepower, good for 8,500 pounds of maximum towing. Combined fuel economy is 16 mpg, which isn’t great, but the Armada’s low starting price makes up the difference. That is the front-driver, of course; four-wheel drive models drop to 15 mpg for a total of $2,400 in fuel per year. For 2019, Nissan has added value across the range with standard automatic emergency braking, dynamic cruise control, and intelligent forward collision warning. Inside, all models come with standard 13-speaker Bose audio, an 8.0-inch touchscreen, connectivity, navigation, automatic dual-zone climate control, and a 12V power outlet per row. The big Tahoe embodies everything likable about American trucks and does so in a family-friendly package. Standard infotainment fare is Chevy’s 8.0-inch touchscreen with easy Bluetooth streaming, connectivity, Apple CarPlay and Android Auto, voice operation, app shopping integration, and five USB ports. Conversation is made easier by acoustic-laminated windshields and triple door seals keeping the cabin quiet. The base 5.3-liter 8-cylinder engine makes 355 horsepower and 383 lb-ft of torque while returning 18 mpg combined. Adding four-wheel drive only drops economy by one point. A basic active safety package ($695) is available for LS models and adds low speed automatic braking, forward collision alert, lane keeping assist, and automatic headlights. The Toyota Sequoia comes in at an attractive starting price, but the elephant in the room must be addressed: fuel economy is “punch a panda in the mouth” bad, just 15 mpg in the combined cycle and worst in class. Adding four-wheel drive drops it to just 14 mpg, at which point the Sequoia might as well run on actual sequoias. That being said, the 381-horsepower SUV has earned a reputation for being nearly as eternal as its giant redwood maesake. The 381-horsepower, 5.7-liter V8 and rugged body-on-frame construction create a solidity that buyers love and keeps resale values high. The base SR5 model comes loaded enough to mitigate the high fuel costs, with seating for eight, independently sliding and reclining seats for all three second-row occupants, and connectivity. The Sequoia’s standard safety puts it over the top, with blind spot monitoring and rear cross traffic alert, a pre-collision system with pedestrian detection, lane departure alert, dynamic cruise control, and trailer sway alert and control. Everything we love about the Kia Soul is made better in the electric model. The crossover’s defining fun and funky looks translate into adorable goofiness in the EV, as if your prized French Bulldog had English Bulldog offspring. All the utility of the original is intact, though, with ample usable cargo area, high seating, great visibility, and a supremely comfortable cabin. The 2019 model has 111 miles of range, which puts it firmly in city car category for most buyers. In our experience, that is more than enough for 90 percent of daily life, however, shopping trips and soccer practice and garden stores (o my!). Even better is the low MSRP. Combined with an available tax credit of up to $7,500—which may not be available to all buyers—the Soul is one of the cheapest ways to go green. An all-new 2020 model was announced in November and promises better battery life and faster charging. The Niro EV will drop in two flavors, EX and EX Premium. Both are powered by a 201-horsepower electric motor with 291 lb-ft of torque, with a battery stack that provides 239 miles of range. Fast DC charging is standard and provides approximately 100-mile recharge in 30 minutes or 80 percent total battery capacity in 75 minutes. The list of standard amenities is long and includes advanced connectivity, Apple CarPlay and Android Auto, and wireless charging. The latest in safety is on deck, too, with forward collision warning and avoidance assist, lane departures warning and lane keeping assist, smart cruise control with stop and go function (auto follow), blind spot and rear cross traffic warning, and parking distance warning. If further proof was needed that the Hyundai Motor Group (which owns roughly 33 percent of Kia) has decided to corner the EV market, the company has released an electric version of its popular and award-winning Kona. The compact SUV manages 258 miles of range from its 201-horsepower powertrain, with 291 lb-ft of torque for plenty of scoot off the line. Fast charging is standard, and an eighty percent charge can be achieved in 54 minutes. The battery stack weighs less than 1,000 pounds, improving driving dynamics. The long wheelbase and short overhangs mean the Kona EV is every bit as much the urban warrior as the standard model, with excellent maneuverability and a forgiving ride. Apple CarPlay and Android Auto are standard, along with three years of Hyundai’s advanced connectivity service.